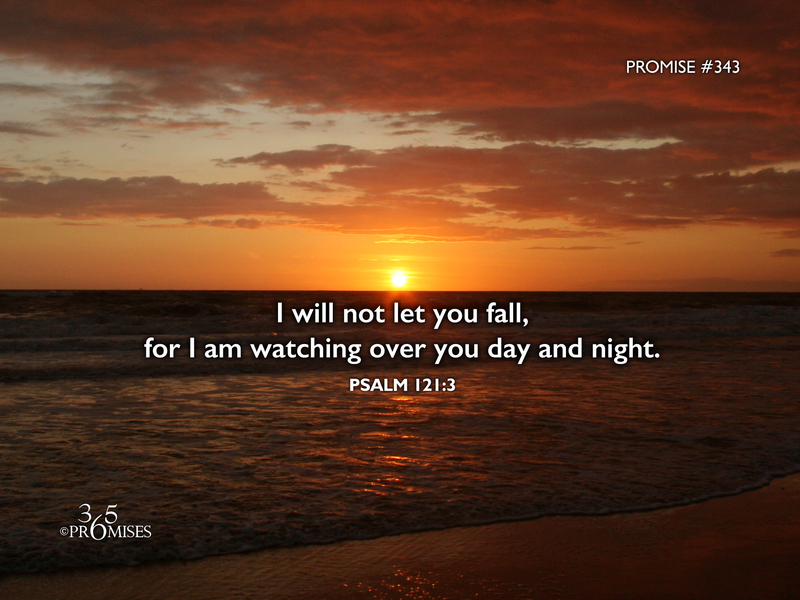 I will not let you fall, for I am watching over you day and night. God does not sleep and He does not slumber. He watches over us day and night so that we will not stumble and fall. The image that comes to mind as I write today's devotional is that of a doting father watching over his little toddler as the child is learning to take its first steps. Wherever the little one goes, the father is following very close behind to make sure that no accidents happen. The NLT translation of Psalm 121:3 says it this way... He will not let you stumble; the one who watches over you will not slumber. No matter where you go, no matter what time of the day or night, God is watching over you, caring for you to make sure that you don't stumble. What a loving Father we have! Just as no earthly father would want to see his toddler bump his/her head on a coffee table or fall down a step, so our Heavenly Father is watching over us to make sure that we don't stumble and fall. May this simple picture of God's protecting love bring encouragement to our hearts today.